Sandpoint just can't seem to catch a break. No sooner is the threat of the goblins ended, than murderous undead begin filling up the countryside. With a handle on what's happening (if not who is behind it), or heroes mount up to try to put a stop to yet another brush fire before it can build into something bigger. All caught up? Good... because in this installment we're about to take another step down the rabbit hole surrounding the misfortune of one of Varisia's adventuring hot spots. Returning from the asylum, and burying the unfortunate victim of the ongoing ghoul plague, Sandpoint's heroes found that the farmers had all come in from the outlying farms. The ghouls were rampaging, killing livestock, menacing the people they found, and it wasn't safe out there anymore. With everyone huddling behind stout walls, and the fields going to rot, it was only a matter of time before things grew worse. Eager to set the cold thing in his guts to rights, Zhakar was only too happy to ride into the fields. Thokk came with to watch his back, and Zordlan came to help the people he'd known since they were born. Mirelinda groused about it, but her heart was only halfway in it. She knew there was no one else who could do the job, which meant she was part of the solution. The only one who remained behind was Chikara, who opted to make sure no threats attacked the town while the others went on the hunt. The first sign something was wrong was the silence hanging over the countryside... and the stink. A taint floated on the air, putting everyone on edge. There was no banter as they rode. None of the usual jibing or storytelling. 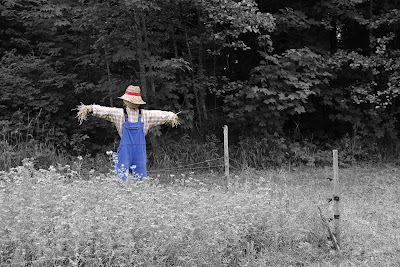 Just grim purpose as they approached a scarecrow... and an ambush. The ghoul masquerading as a farm distraction, leaped down, tongue lolling and claws at the ready. Two of its fellows stepped out of the fields, rushing into the fray. Though they were used to fighting farmers and peddlers, they weren't prepared for the assault they received. Zordlan parried the claws and fangs of a ghoul on the flank, running it through time and time again until he found the heart. Zhakar drove his fist into one's teeth, shattering them even as it tried to sink its fangs past the steel of his gauntlet. Thokk's bowstring thrummed, planting arrows into the creatures' flesh. When one fell and tried to rise, Mirelinda flicked a bone wand into her hand, and splattered its skull with a spray of glowing missiles. When the dust settled, though, they heard another sound; a low groaning. It came from a scarecrow, but this one wasn't a ghoul. It was a halfling, tied to a crossbeam, with a bite mark at his neck. He had no fever, though, and the wound didn't seem to be festering or spreading. Bostwick may no longer be welcome at the monastery he'd left, but disease had no hold over him. A fortunate advantage to have in ghoul country. With a new ally, and one who has a score of his own to settle with these creatures, they rode on. The oppressive feeling all around them grew, like an oncoming storm, and that was when they heard the moaning. 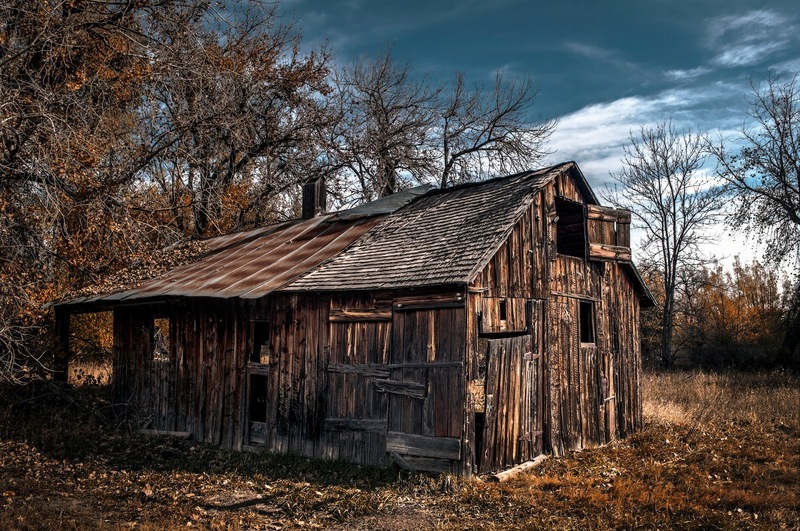 It came from a barn, barred from the outside. There was a scrabbling, but nothing too determined. Someone had trapped a pack of the things before they fled. They drew rein at the edge of the property, and Thokk reconnoitered the building. A dozen ghouls were pent up in there, listlessly shuffling this way and that. They looked half-starved, and particularly dangerous. Zhakar nodded, and drew his sword as he approached the gate. He and Bostwick would act as the bulwark, with Thokk and Mirelinda behind. Zordlan would act as support and a flanker, filling in gaps as they appeared. Once the plan was set, the bar was lifted, and the doors opened. The ghouls snapped their heads toward the opening, charging in a single rush of mad hunger. Bostwick's fists flew, smashing a kneecap, and crushing another ghoul's pelvis. Zhakar's sword bit deep, tearing out streams of gore even as he parried claws and teeth. Every flick of Mirelinda's wand sent fresh streaks into the ghouls' ranks, and Thokk let arrows fly with impunity over Bostwick's head. Zordlan's song drove strength into his companion's arms, and his bow found more than a few marks of its own. Beneath the sounds of battle, though, was another sound. A stranger sound; the grinding of claws against metal. Though some ghouls' blows were parried, and others turned away on Zhakar's shield, many of them struck home... or seemed to. The claws and fangs drug along the skin of his arms, his neck, and even the left side of his face, but no blood welled from the gashes. Instead, they revealed a layer of shining steel just beneath. When the last of the ghouls fell twitching to the floor, it was Thokk who touched his friend on the shoulder. They conversed in Thokk's native language, one that Zhakar had learned during their long walks through the northern woods, but even as they talked the gashes seemed to knit themselves closed. The wounds, if wounds they were, gone as if they'd never been. Unsure of what to make of it, Zhakar rolled his sleeve down, and turned his collar up, before sheathing his sword. They needed to identify who was in that barn, and carry the news back to their families if possible. Whatever was happening to him would wait until that was seen to. Most of the bodies in the barn belonged to farmers and their families. But there was one that stood out... one that didn't belong. Its clothes had been finely made, once upon a time, and he still carried some of the tools of his former life. Along the figure's belt was a key wrought with a family crest... the Foxgloves. Either Aldern was in trouble... or he was already far past saving. That's all for this installment of Table Talk. What happens next? Well, you'll have to tune-in next month to see what happens to our heroes when they kick in the doors of Foxglove Manor! If you'd like to see more of my work, stop by my Vocal archive, or just look at my Gamers page for all my tabletop stuff. Alternatively, stop by the YouTube channel Dungeon Keeper Radio to check out the show I work on with other gamers to make content for DMs and players alike! To stay on top of all my latest updates, follow me on Facebook, Tumblr, and Twitter! And if you'd like to support me you can Buy Me A Ko-Fi as a one-time tip, become a patron over on The Literary Mercenary's Patreon page, or if you're looking for some additional reading you could head over to my Amazon author page to Buy My Books!